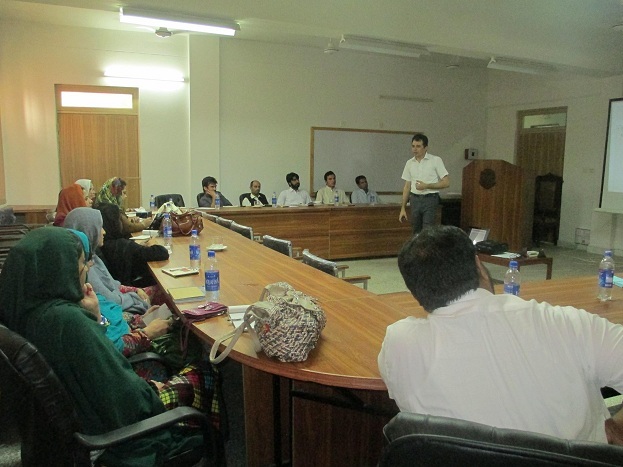 The workshop was initiated with verses from the Holy Quran. 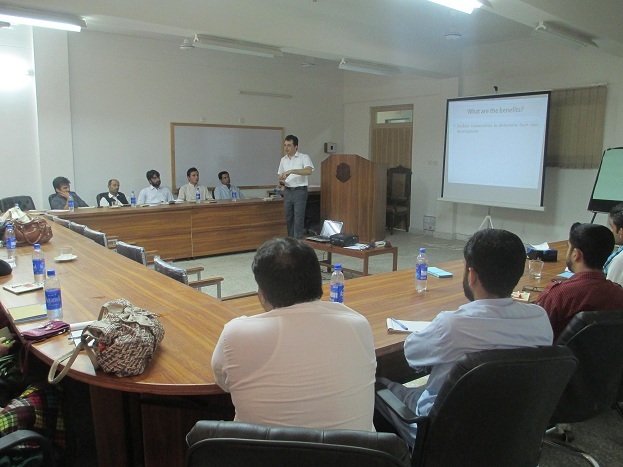 Mr. Mushtaq Ahmad Jan delivered his informative sessions on Social Mobilization, Mobilization Cycle and Area Profiling & Organizational Networking. 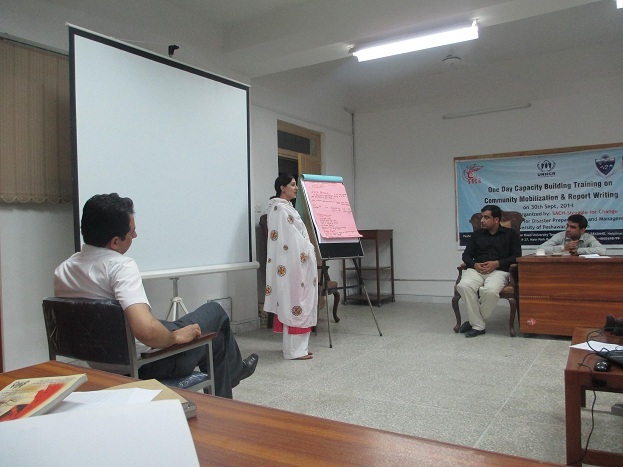 Group discussions were held, giving a task to each group with presentation by the representative from each group. 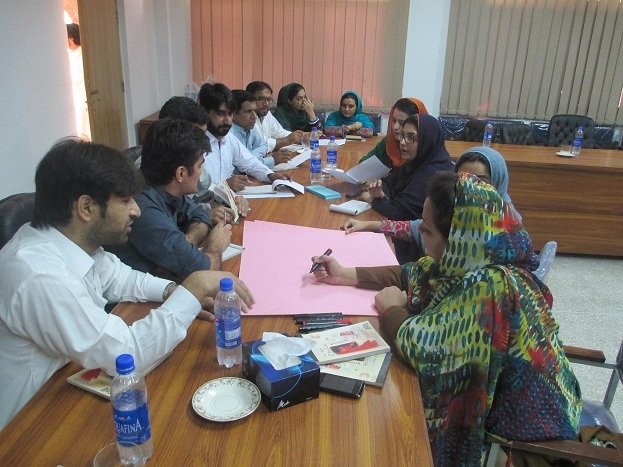 This discussion and presentation was related to two scenes from a sample community, picking out there from positive and negative impact of social/community mobilizers. 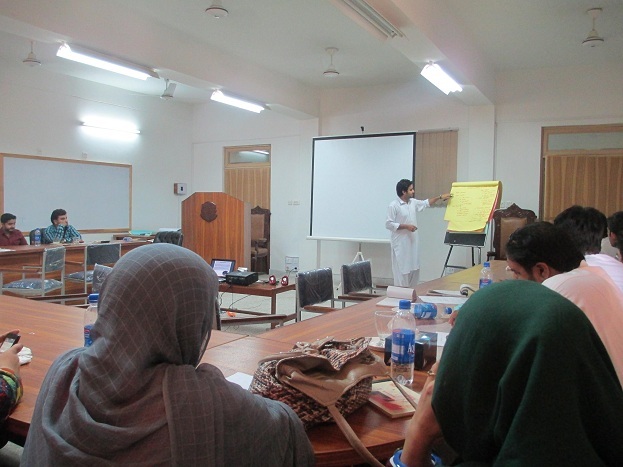 He presented the definitions of each topic, and further went on saying its basic essentials, and things to be kept in mind while mobilizing the community. 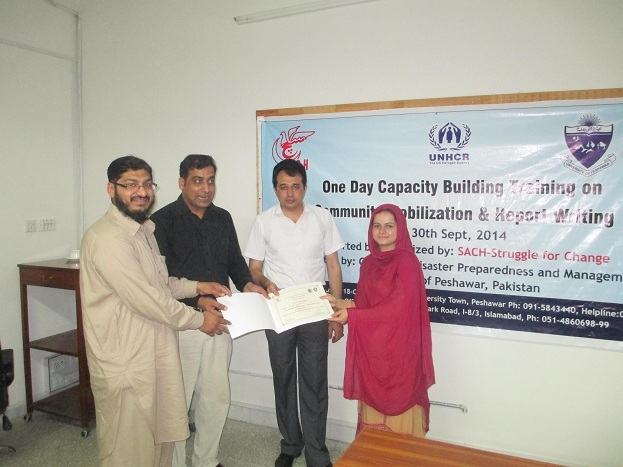 He said that a mobilizer should have sufficient knowledge about a community he goes to. He should also respect their culture, he must be observer rather than judgmental. He should listen more and speak little and welcome the opinion of general people. 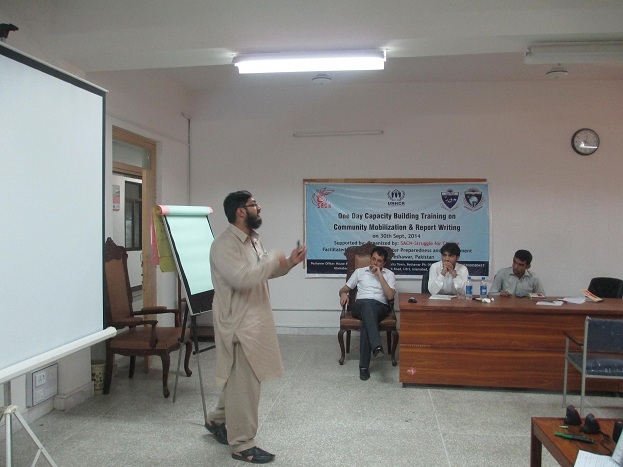 Mr. Muhammad Farooq Khan continued with sessions on Report Writing and Professional Correspondence. 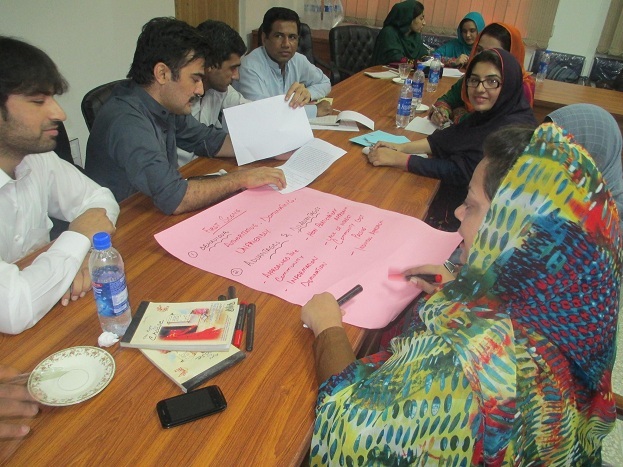 He informed the participants about the common errors done by a reporter. 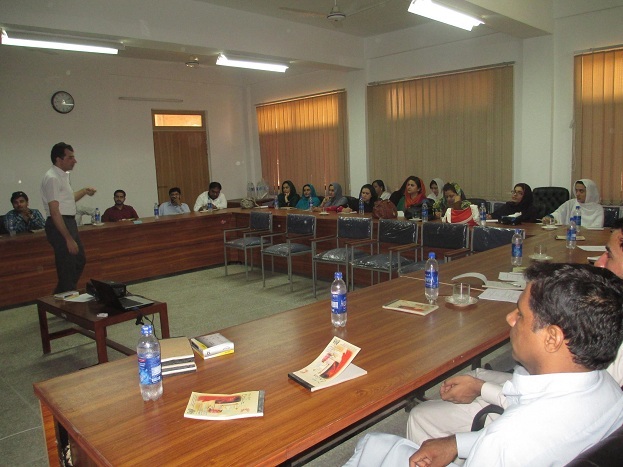 He shared the different kinds and classifications of report writing, both short and long reporting, its essential ingredients and the common errors to be avoided while preparing a report. 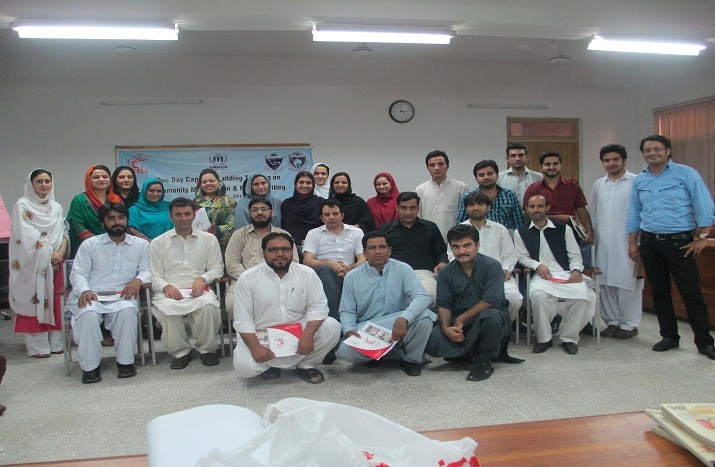 In his vote of thanks, Mr. Awais-ur-Rehman, Task Manager SACH-Struggle for Change extended heartfelt thanks to Mr. Mushtaq Ahmad Jan and Mr. Muhammad Farooq Khan for their facilitation and delivering the sessions on Social Mobilization and Reporting Writing. 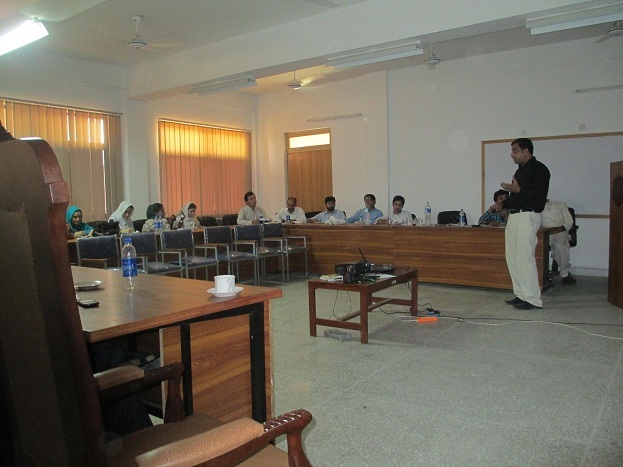 Mr. Awais desired for more sessions on these topics in future, filling a gap on the subject.